KayKiSpeaks.com: Usher Baby?? vs. Kanye?? Can you say dapper?!?!?! Both of these guys are just handsome in this picture! 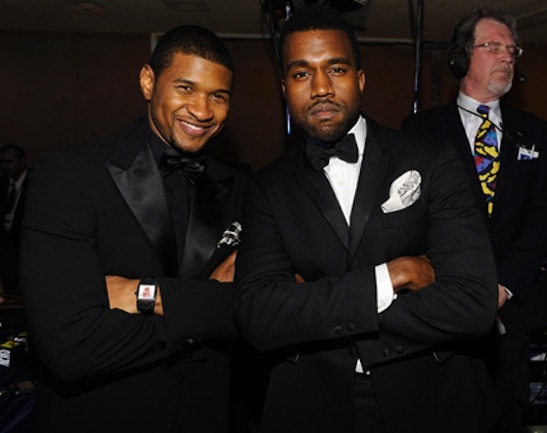 Usher with the black on black & Kanye with the classic look, save the white handker.. I just love. So, the question is... who looks better? I am surprised that Id have to go with Usher in this one, being that I prefer the chocolates myself. lol. Maybe.. its this little sly smile he's giving. Kanye is stuntin on here too though.. gotta love a man in a suit!